Personalized chalkboards are a hip gift right now, and for good reason. There are tons of uses for chalkboards in general, and personalizing it just takes it up a notch. Let’s look at some of the many uses of personalized chalkboards. We’ll examine how these little accents are used in gift giving, weddings, memorial services, home decor, organization, and for businesses. Below are 18 uses we’ve found for personalized chalkboards. This chalkboard/cutting board is available here. A personalized cutting board, custom engraved with the family’s initial, makes a great housewarming gift. 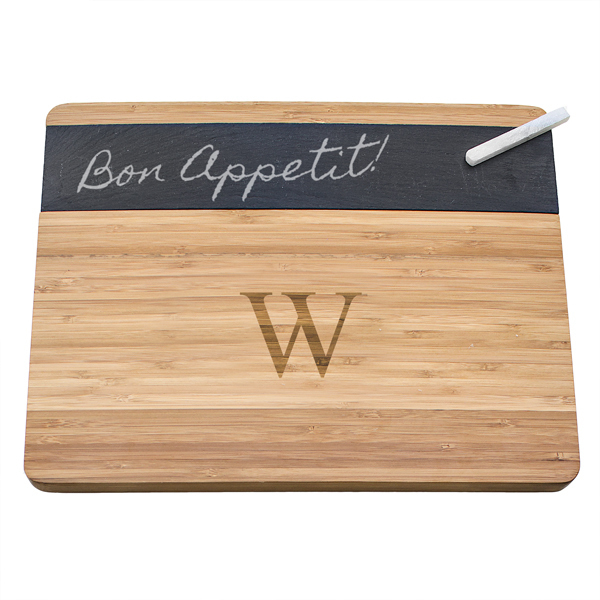 Take it to the next level with this neat bamboo wood cutting board and chalkboard combo, which includes a slate section for you to write a housewarming message, and for the recipient to label crudité or pretty much anything else. 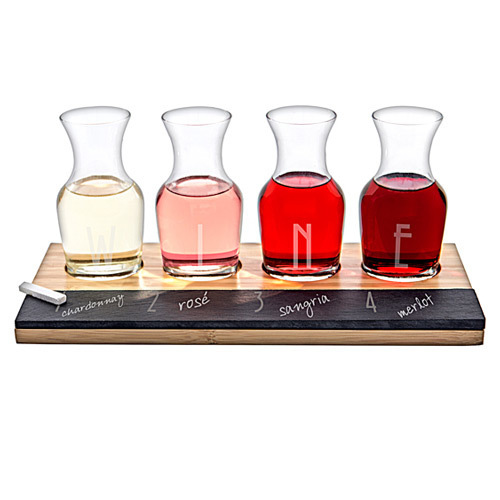 This wine tasting set is available here. How about a unique gift – a personalized wine taster set with chalkboard for notes? This will help the budding wine connoisseur reach the next level. Celebrate your favorite day with this special personalized chalkboard anniversary gift. 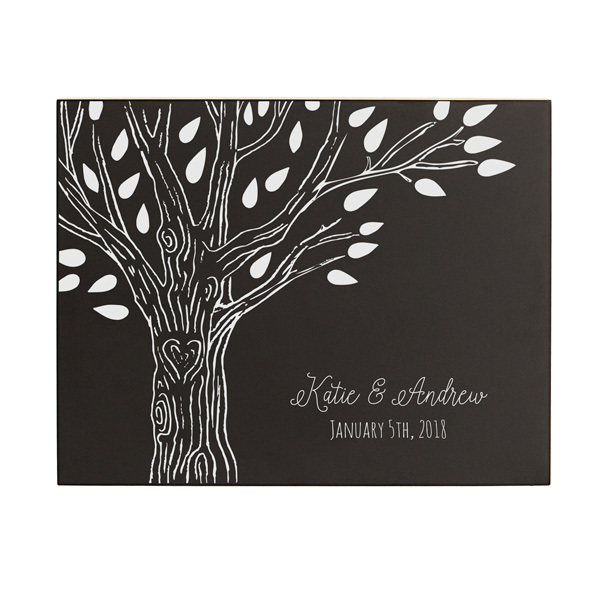 Includes laser etched entwined hearts, names, and wedding/anniversary date. You’ll be able to keep your love notes fresh and up to date with this reusable personalized chalkboard. 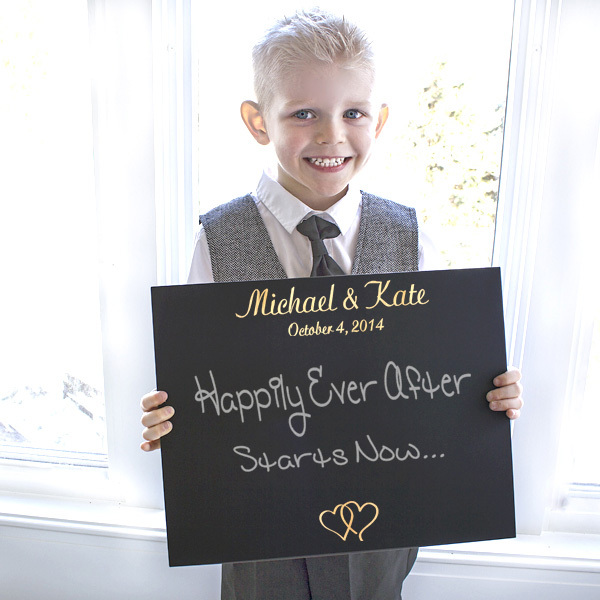 Have the ring bearer walk down the aisle to introduce the bride with a special message. Plus, the happy couple get a nice and useful wedding day keepsake to hang in their home. 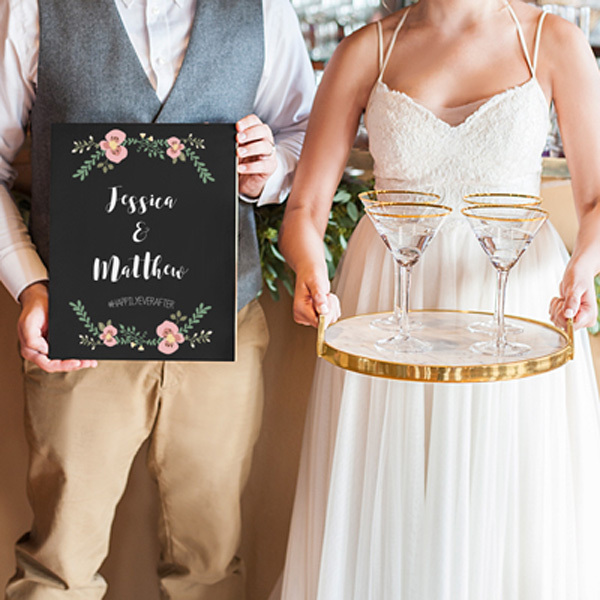 Won’t this cute wedding chalkboard look great as a centerpiece for the bride & groom’s table at the reception? Chalkboards work great for table settings and seating arrangements. 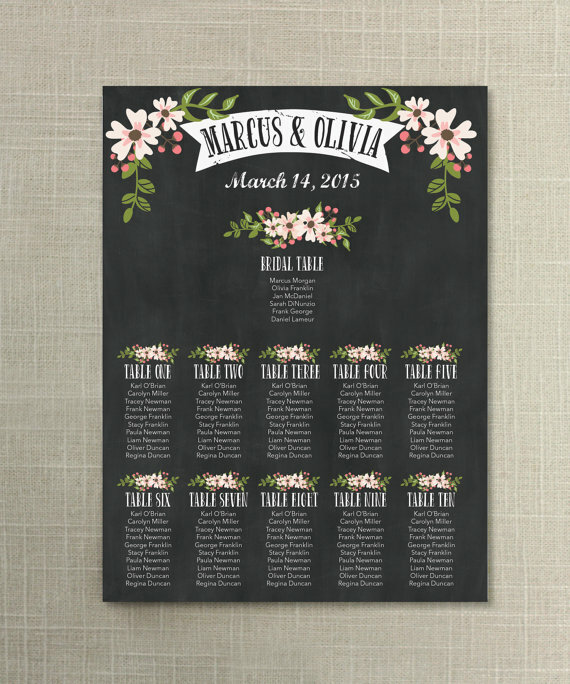 This customized wedding chalkboard includes the bride & groom names, wedding date, and complete seating arrangements. These mini chalkboard easels don’t come personalized, but you can do that yourself. 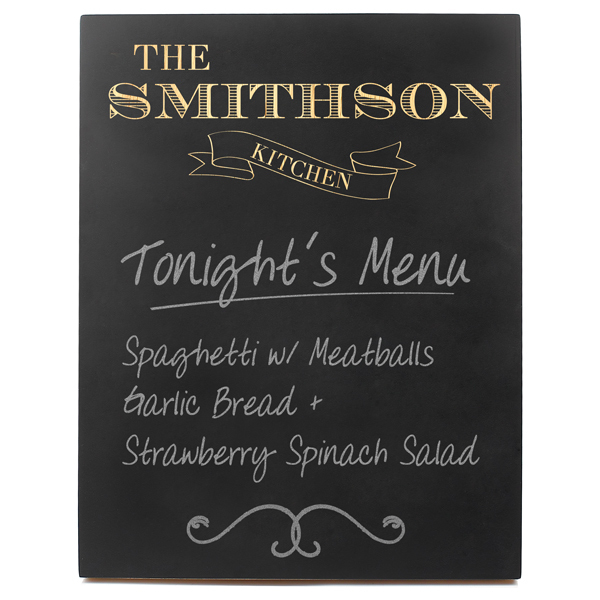 The versatile chalkboards can be used to label foods at the buffet, desserts, drinks, seating arrangements, and more. This chalkboard is available here. 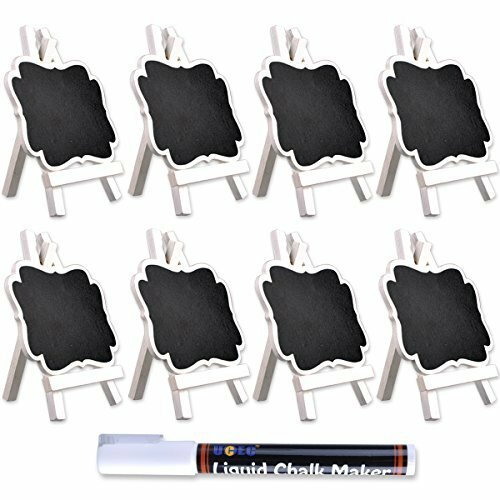 This small, simple chalkboard is for labeling the cards & gifts table. 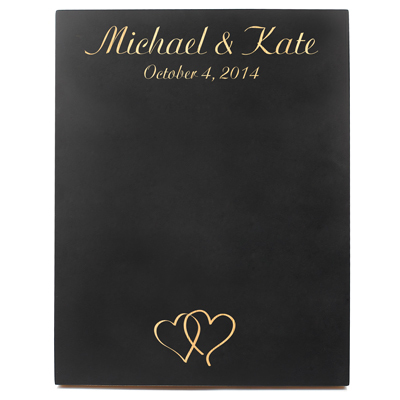 You can personalize it yourself by adding the couple’s names, wedding date, hashtag, and more around the edges. 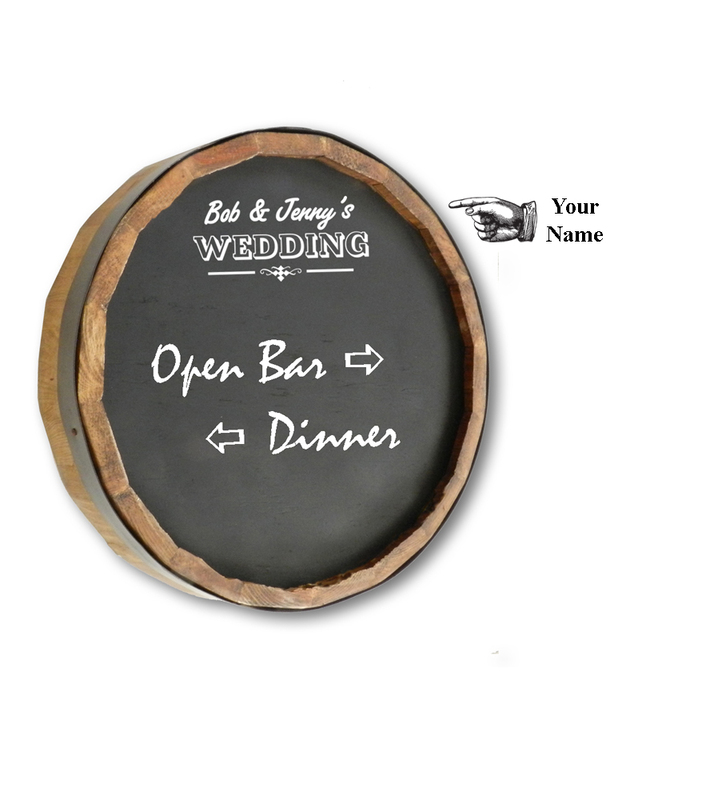 A “quarter barrel” chalkboard is perfect for the wedding with an open bar. 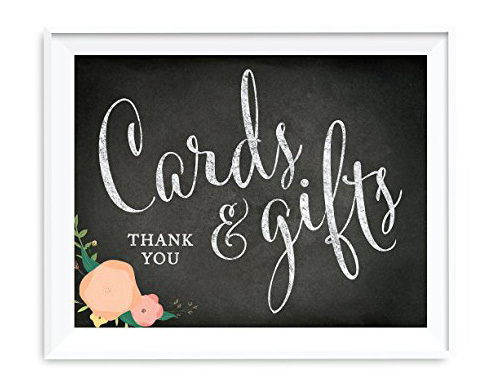 Use it to direct guests to various locations or activities, then the happy couple can mount it on the wall in their home as a special wedding keepsake. Included personalization of names above “wedding” at the top of the piece. Memorial services these days are surprisingly similar to weddings. Just a little sadder. People do “life celebration events” instead of the traditional funeral, and it’s like a party in honor of the decedent. There are BYOB memorial receptions, Viking send-offs, Irish wakes, treasure hunts, and all sorts of other stuff. This memorial chalkboard is a beautiful tribute to a loved one. Use it at the memorial service on the display table, then put it up in your home to remember them always. Works great as a memorial gift as well. This kitchen chalkboard can be personalized here. Decorate your kitchen in personal and updatable style with this trendy and useful chalkboard. Includes “kitchen” banner design and personalization of your family’s name. 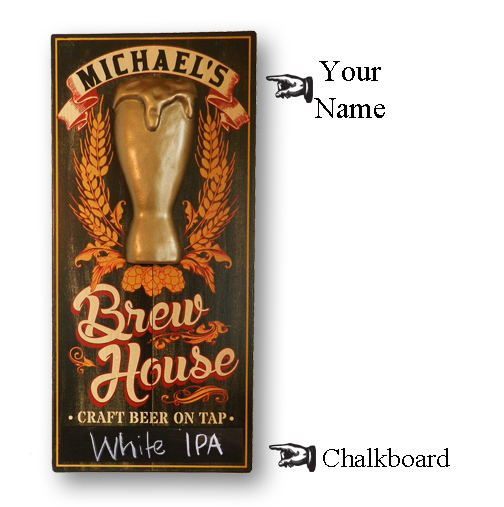 Decorate your home in classy vintage brewpub style with this unique personalized chalkboard sign. Made in the USA, customized with your name, and distressed by hand. Includes chalkboard to list your craft brews on tap (or anything else you want) plus a hand-carved 3-dimensional relief of a frothy pilsner glass. Bottoms up! 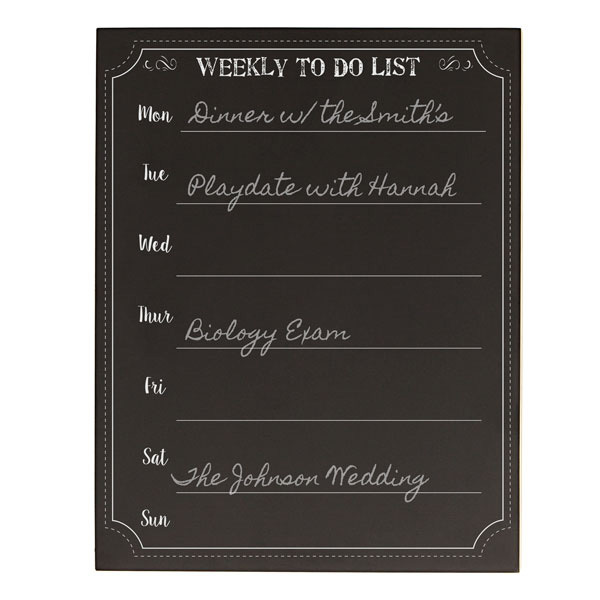 This to-do list chalkboard is available here. Set up your weekly to-do list, schedule, or meal plan. Top line is customizable. 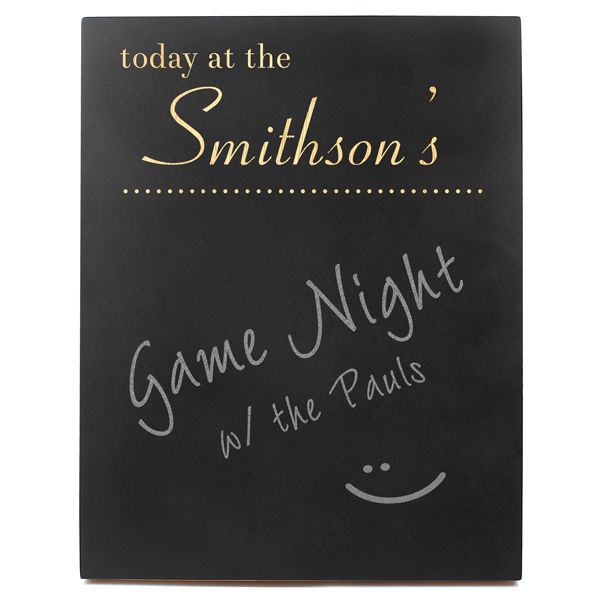 Customize the top portion of this personalized chalkboard to suit your needs. Daily notes? Check. Get one for each family member? Check. Get one for each day of the week? Check. 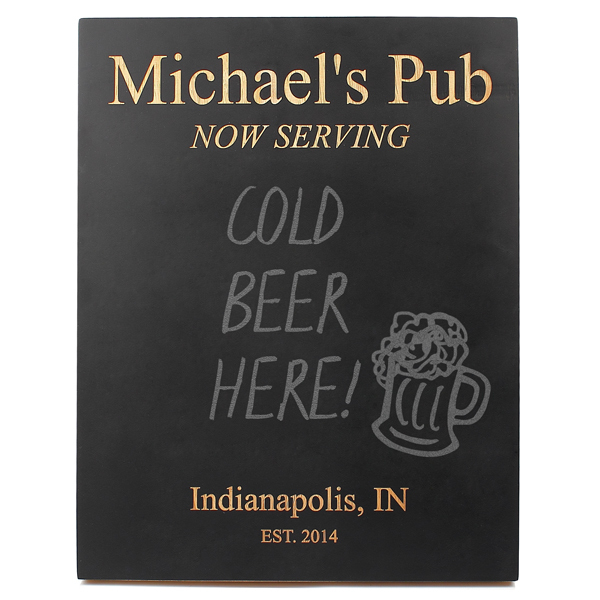 List your daily specials or new items on tap at your restaurant or pub with this simple personalized chalkboard. Custom etched glasses in a bamboo and chalkboard flight set. 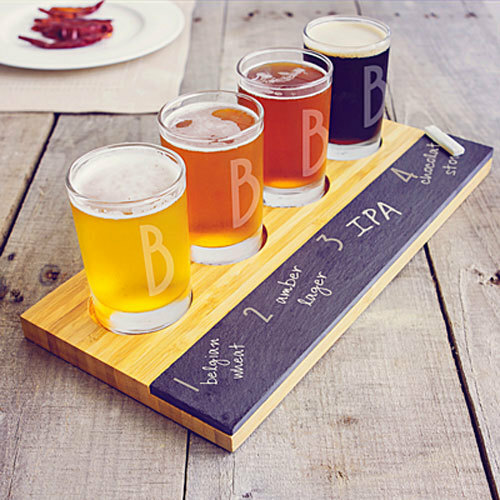 Perfect for the restaurant, bar, or pub, you can have each set engraved with your business initials to customize. This “quarter barrel” chalkboard is available here in your choice of design. 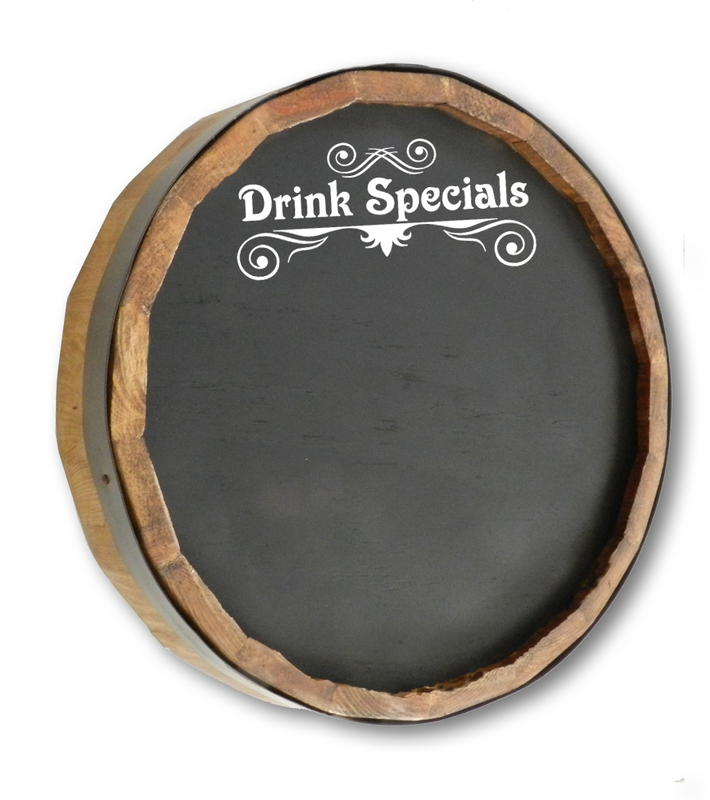 Scatter these chalkboards – which are designed to look like the top “quarter” of an oak barrel – throughout your restaurant to list different specials. Designs are available for your menu items, drink specials, Happy Hour menu, wine list, and more. This plaque is available here. 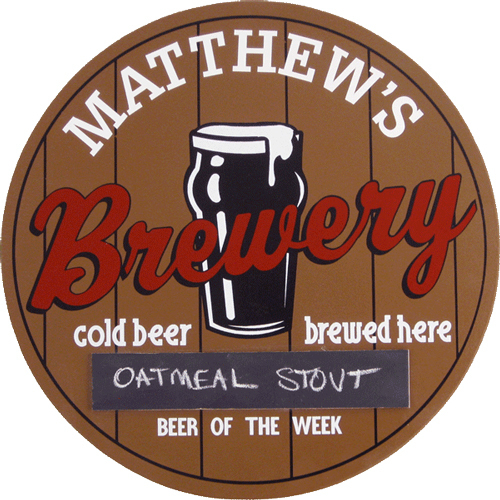 If you run your own brewery or pub, personalize it with this affordable made-in-the-USA round plaque. Not only do you get the sign personalized with your name or restaurant name over the pilsner glass and the word “brewery”, you also get to update your “beer of the week” on the attached chalkboard.